"Dachshund books will help you learn more about this smart little dog "
These books are an excellent source of information, although there are many books available about dogs in general, the books that focus on just one breed are the most helpful as they deal with the breeds specific habits and problems. If you are thinking of buying a dachshund puppy, then this is a good place to start learning more about the breed, or if you have an issue that you need some extra information then these titles may help. If you are a dachshund owner, then you want your little friend to live a long and healthy life, so the more you can learn about health and welfare issues the better. Knowledge is power, by using this website and some of these books you will equip yourself to cope with potential problems before they start and be more confident about any issues that occur. 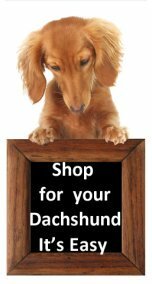 We have selected a number of Dachshund books from Amazon that we feel are a good resource, with loads of tips and advice on raising, caring and training a dachshund dog. Many readers have found this book a great resource for a reasonable price. Information is clearly written and cover many aspects of caring for a dachshund. Excellent source of information by an author who knows this subject well. Suitable for owners starting off in the sport or owners already involved. If you are thinking of getting a dachshund puppy this well-presented book, gives loads of quality information about care and health. Very popular dog training book that focuses on the unique characteristics of the dachshund. by D Caroline Coile Ph.D. This book offers well presented information and advice, complemented by clear detailed pictures. Great gift for dachshund lovers. True stories, some sad some humorous, read it and be inspired. Good read - helpful information, excellent introductory guide to dachshunds for new owners. The following books are recommended as being comprehensive guides to natural health care for pets. Most Dachshund owners today realize the importance of taking a more natural, holistic approach when raising their dogs, so I thought they were a good resource to include. Many owners are turning to more natural methods of caring for their dogs. This book is an easy read with loads of helpful information. Excellent source of information on diet and nutrition for dogs and cats. 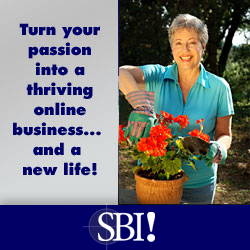 Offers owners advice on a more natural lifestyle for their pets. These dachshund books provide an excellent resource for owners or admirers and would be an asset in any home library and support information given on this website. If you can't find the book your looking for then send us an email and we will do our best to source it for you.